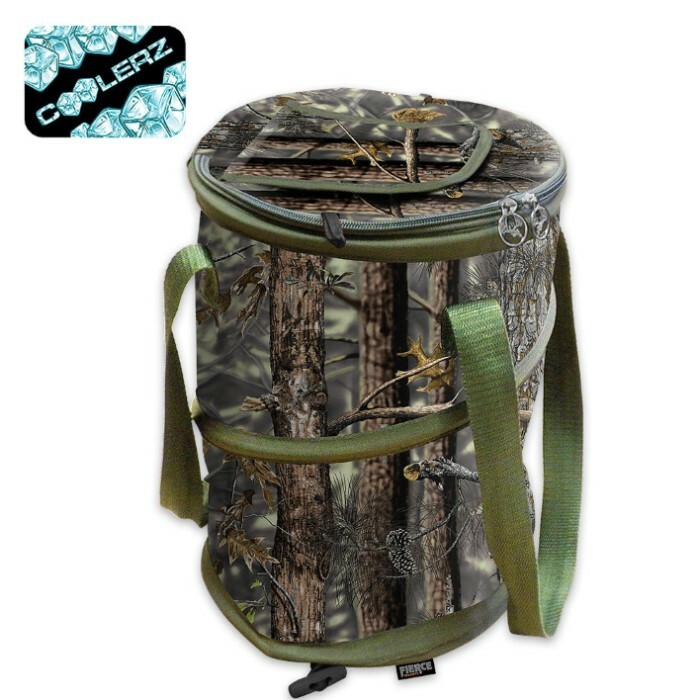 Fierce Longleaf Camo Pop Up Cooler | BUDK.com - Knives & Swords At The Lowest Prices! This sturdy and durable cooler will keep your items cool for hours! With its twelve can capacity, it is large enough to hold enough of your favorite canned beverages to get you through the golf course. It is a leak proof and sweat proof soft cooler with a plastic liner. It features a sturdy zipper pull top. You can also use it as a grocery or lunch cooler. The cooler bag dimensions are 9” x 9” x 13”.